Kate Quinn's classic straight leg pants in 100% organic cotton will be the pants you reach for everyday. The pants feature mid-weight organic cotton knit, making it a versatile pant for year-round use. It's works when leaving the house in the summer, spring, and fall, and makes a wonderful indoor lounging-around pant during the winter. The super cute gusseted bottom (in sizes 0-24 months) offers enough room for a cloth diaper without looking bulky over a disposable diaper. 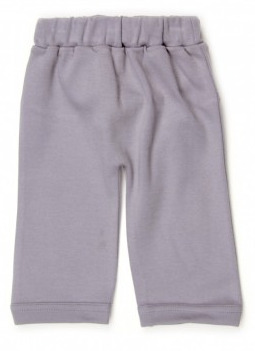 The softly elasticized waist makes dressing quick and easy and is gentle on baby's tummy. 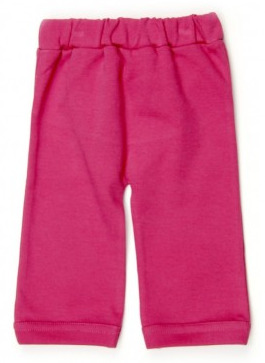 This adorable pant coordinates perfectly with Kate Quinn's onesies and shirts. It even works as an extra layering piece under Kate Quinn's dresses, spaghetti tanks, and infant sacques. This pant is a baby basic. 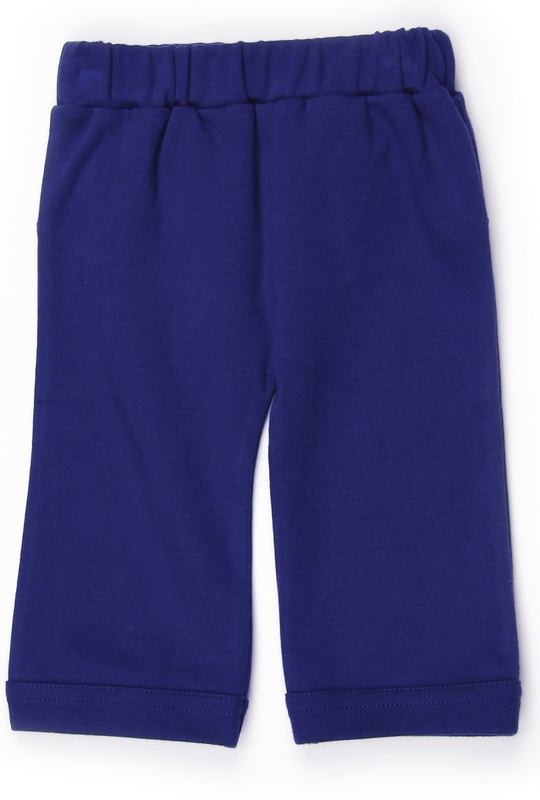 Kate Quinn's straight leg pant is available in sizes 0-3 months all the way up to 2T. Consider having 3-4 pants on hand for each size range. Coordinating Kate Quinn organic cotton hats, onesies, shirts, and infant saques are also available. Control Union Certifications-Certified Organic Cotton: Kate Quinn Organics' products are certified organic and fair trade from seed to packaging. Control Union Certifications (formerly SKAL), a USDA Accredited Certifying Agent, certifies their organic cotton, from the fields through cleaning, carding, combing, spinning, weaving, and finishing. The organic cotton is completely sourced and sewn in India. 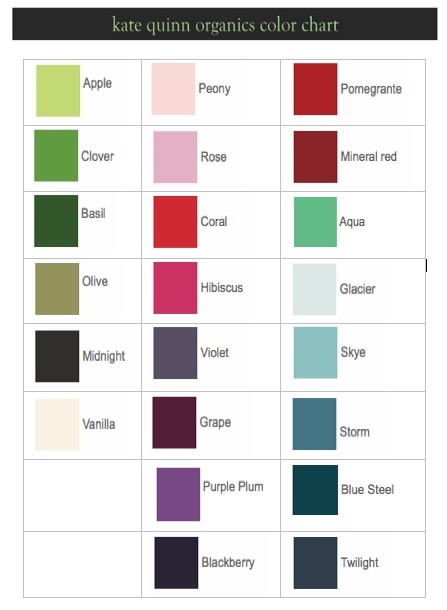 Chemical-Free Clothes: Kate Quinn Organics uses dyes that are chemical-free, naturally reactive colors. These dyes are free from heavy metals and halogens. Learn more about why organic cotton is important here. Our Share & Learn area has lots of information on organic living. Kate Quinn launched her first line of organic baby clothing in 2005 after a successful career as a Hollywood stylist. She used her years of experience in fashion to take organic baby clothing to another level. By mixing classic, clean designs with vibrant, nature-inspired colors, Kate finally brought moms what we've all been asking for: an apparel line that was not only non-toxic and eco-friendly, but also fashionable. Beyond offering newborn necessities, such as onesies, pants, and infant gowns, Kate Quinn Organics provides organic options for dresses, button-down shirts, and jackets. We at UrthChild have yet to find an organic clothing line for your child as diverse and hip as Kate Quinn Organics!